Deep in the eastern Grand Canyon, Arizona, is a stacked sequence of “ancient” basalt lava flows known by geologists as the Cardenas Basalt (Figures 1 and 2). These were once molten lavas that were successively erupted onto the earth’s surface through volcanic vents and fissures and flowed over already deposited layers of siltstones. They quickly hardened into the dense, black rock called basalt (Figure 3). Further thick sediment layers were soon deposited on top of them. The position of the Cardenas Basalt lava flows in the overall succession of rock layers in Grand Canyon can be seen in the generalized geologic “block” diagram of Grand Canyon (Figure 4). This article explores the fallacious assumptions used by most secular geologists who apply a uniformitarian belief system (slow-and-gradual geologic processes) when “dating” the rocks of Grand Canyon. Figure 1 The stacked sequence of Cardenas Basalt lava flows in eastern Grand Canyon as seen from Desert View. Can the exact age of these basalt lavas be determined by their position in the Grand Canyon sequence of rock layers or by physically examining them? No! However, most geologists classify the Cardenas Basalt as Precambrian; that is, it is older than the so-called Cambrian rock layers such as the Tapeats Sandstone and Bright Angel Shale that contain fossils of marine creatures such as trilobites (Figure 4). But the rock itself looks like many other basalts found all around the world (Figure 5). With the application of radioactivity to the dating of rocks, these geologists believe they now have a virtually foolproof method for determining exact ages. Figure 2 Grand Canyon map showing the location of outcrops of the Cardenas Basalt lavas. Molten lavas, which successively erupted onto the earth’s surface through volcanic vents and fissures, flowed over already deposited layers of siltstones. They quickly hardened to the dense, black rock called basalt (see fig. 3). Further thick sediment layers were soon deposited on top of them. Certain “parent” elements such as potassium, rubidium, uranium and samarium are radioactive and change by decay over time (very slowly according to today’s laboratory measurements) into “daughter” elements argon, strontium, lead and neodymium, respectively. This radioactive decay is like the ticking of a clock, except instead of seconds these radioactive-decay “clocks” are said to measure in millions of years. By analyzing these parent and daughter elements in a rock and applying today’s measured rates of radioactive decay, geologists confidently claim they can calculate how long it took the radioactive decay of the parents to produce the measured quantities of daughters. This is then said to be the rock’s exact (or absolute) age. These radioactive dating methods have been used to calculate an absolute age of 1,103±66 million years for the Cardenas Basalt lavas. (The number after the ± symbol refers to the error margins in the “age” determination so that 1,103±66 million years means that the age is between 1,037 and 1,169 million years.) So it would seem! However, a closer examination of the results from all such studies reveals the fallacies of the radioactive dating methods. Figure 3 Close view of the outcropping Cardenas Basalt lava flows. The claimed age of 1,103±66 million years was obtained using the rubidium-strontium isochron method with 10 samples and has been regarded as the best radioactive dating result for any Grand Canyon rock unit. Nevertheless, potassium-argon model “ages” for each of 15 individual Cardenas Basalt samples range from 577±12 to 1,013±37 million years, while the potassium-argon isochron “age” obtained using 14 samples is only 516±30 million years. This is less than half the rubidium-strontium isochron “age” of 1,111±81 million years obtained using 19 samples. It is also less than the claimed Cambrian age of the Tapeats Sandstone that sits on top of, and well above the Cardenas Basalt lavas (Figure 4). Worse still, the samarium-neodymium isochron “age” obtained using 8 samples is 1,588±170 million years—more than three times the potassium-argon isochron “age” of 516±30 million years! So what is the correct “age” of the Cardenas Basalt lavas? Used by permission from ICR. Figure 4 Geologic “block” diagram of Grand Canyon rock layers showing the Cardenas Basalt lava flows in the tilted Precambrian rock sequence and the recent basalt lavas that flowed down the Canyon walls from volcanic cones on the north rim. In any case, could it be that these radioactive clocks have previously ticked at faster rates than they do today? There is much convincing evidence to support this possibility (see Further Reading at end of article). Thus, radioactive decay of samarium was faster than that of rubidium, which was faster than that of potassium. Such accelerated radioactive decay rates would mean that these basalt lavas may instead be only thousands of years old. Certainly the radioactive dating methods simply cannot be trusted. 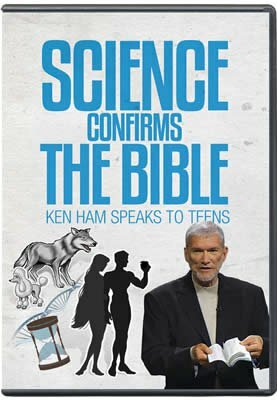 Of course, those who want the earth to be billions of years old, in order to accommodate their belief in the evolution of the earth and all life on it, insist that these radioactive rock dating methods still give ages of millions of years instead of only the few thousand years required by the strict biblical timescale. However, what ages do these same methods yield when applied to rocks for whose formation there are independent cross-checks? 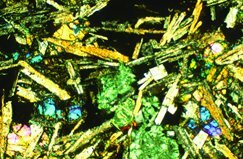 Figure 5 View of a typical sample of the Cardenas Basalt under the geologic microscope showing its different colored constituent minerals. In the western Grand Canyon are some other basalt lava flows (Figure 6). There are up to 160 volcanic cones on the plateau to the north of the Canyon rim out of which these basalt lavas flowed. The eruptions were so recent, occurring after the Grand Canyon formed, that some of these basalt lava flows cascaded like molten waterfalls over the Canyon rim, down the Canyon walls and into the Canyon, where they formed dams that temporarily blocked the flow of the Colorado River (Figures 4 and 7). It’s even possible the American Indians may have witnessed some of this awesome spectacle.1 Yet, when applying the widely accepted assumptions of secular geologists, these basalt flows yield potassium-argon model ages of around 500,000–1 million years. Worse still, their rubidium-strontium isochron age is 1,143±220 million years! This is identical to the rubidium-strontium isochron age of 1,111±81 million years for the Cardenas Basalt lavas near the bottom of Grand Canyon strata sequence (Figure 4). 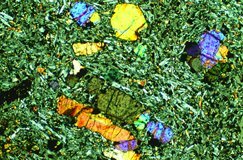 Figure 6 View of a typical sample of a recent basalt lava flow in the western Grand Canyon showing its different colored constituent minerals. So how can the youngest basalt lava flows in Grand Canyon, whose eruption was possibly witnessed only thousands of years ago, yield the same radioactive rubidium-strontium age of 1.1 billion years as some of the oldest basalt lava flows at the bottom of the Canyon? Answer: The molten rock that produced the young basalt lava flows came from deep inside the earth, from what geologists call the earth’s mantle; so these lavas have inherited this rubidium-strontium composition from their mantle source. That is, their rubidium-strontium composition has nothing to do with their age, but everything to do with their source! However, the molten rock that produced the “ancient” Cardenas Basalt lavas also came from the same region of the earth’s mantle beneath the Grand Canyon. Therefore, it could be equally argued that the same rubidium-strontium composition of the Cardenas Basalt lavas was also inherited from the same mantle source and thus has nothing to do with their age! Of course, some radioactive decay could have occurred in the mantle source region of both these basalt lavas, but again, such radioactive decay there in the mantle would not provide the basis for calculating any date for when these basalt lavas flowed out onto the earth’s surface. 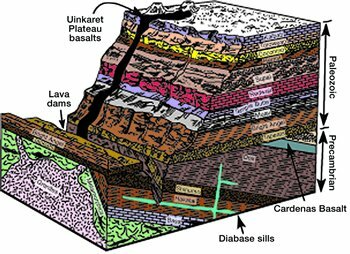 So whichever way we look at it, these radioactive dating methods which are based on the biased assumptions of secular geologists completely fail to “date” these basalt lava flows in Grand Canyon. How can we be sure radioactive decay has always occurred at the rates we measure today? And how can we know how much radioactive decay occurred in their mantle source before these lavas erupted? If the youngest lavas inherited all of their supposed radioactive decay age, then so could the “ancient” lavas. After all, we know the true age of the young lavas because their eruption was possibly witnessed within human history. Where there is an independent cross-check, these radioactive dating methods fail completely. So because of these fallacies, why should they be trusted to give ages for any rock? Figure 7 View of a “frozen” recent basalt lava that flowed down the walls of the western Grand Canyon. 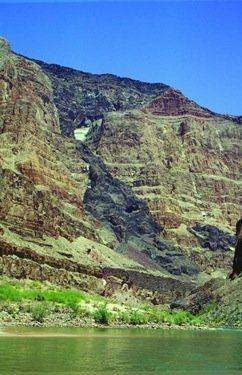 As for the true ages of these basalt lava flows in Grand Canyon, it is not difficult to determine them when the biblical framework and timescale for the earth’s history are accepted as our absolute authority. 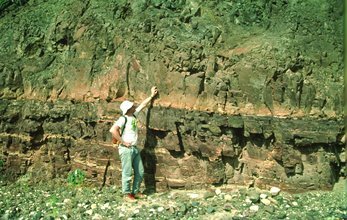 The Cardenas Basalt lavas erupted not long before fossil-bearing sedimentary layers were deposited on top of them. So they would appear to have flowed over the pre-Flood ocean floor, perhaps even within a few years of the “fountains of the great deep” breaking up the ocean floor at the beginning of the Flood about 4,500 years ago. (The scriptural description of the pre-Flood world does not preclude lavas flowing quietly onto the pre-Flood ocean floor, just as lavas flow onto the ocean floor unnoticed today by people living across the earth’s land surfaces.) 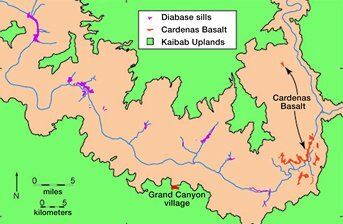 Then because the Grand Canyon was carved out at the very end of the Flood year (or soon thereafter), the basalt lavas that cascaded down the Canyon walls did so after the Flood, and after the American Indians had migrated to the area after having been dispersed from Babel. So the lavas would be fewer than 4,000 years old. Thus there is no need for Christians to be intimidated by the claimed millions of years ages for rocks using radioactive dating. The Bible’s account of the earth’s history can be trusted absolutely, as testified by the Psalmist: “Thy word is true from the beginning” (Psalm 119:160, KJV). Austin, S.A. (Ed. 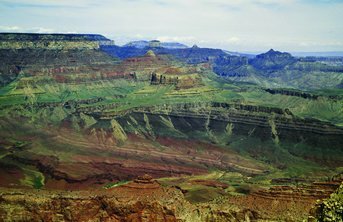 ), Grand Canyon: Monument to Catastrophe, Institute for Creation Research, Santee, California, 1994. Austin, S.A., and Snelling, A.A., Discordant potassium-argon model and isochron “ages” for Cardenas Basalt (Middle Proterozoic) and associated diabase of eastern Grand Canyon, Arkansas; in: Walsh, R.E. (Ed. ), Proceedings of the Fourth International Conference on Creationism, Creation Science Fellowship, Pittsburgh, pp. 35–51, 1998. DeYoung, D.B., Thousands Not Billions, Master Books, Green Forest, Arkansas, 2005. Snelling, A.A., Isochron discordances and the role of inheritance and mixing of radioisotopes in the mantle and crust; in Vardiman, L., Snelling, A.A., and Chaffin, E.F. (Eds. 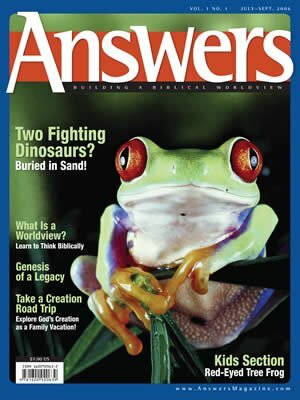 ), Radioisotopes and the Age of the Earth: Results of a Young-Earth Creationist Research Initiative, Institute for Creation Research, El Cajon, California, and Creation Research Society, Chino Valley, Arizona, pp. 393–524, 2005. This is an inference drawn even by conventional geologists and archaeologists due to the dates for the youngest flows being after the dates for when the American Indians arrived in the area.